I feel sooo huge! I ate so much during the past days that I feel I can’t handle it anymore. Italians love eating and, I’m Italian! Of course! So, last week I showed you these fantastic Dior silver sunglasses with a metal frame and mirror lenses. 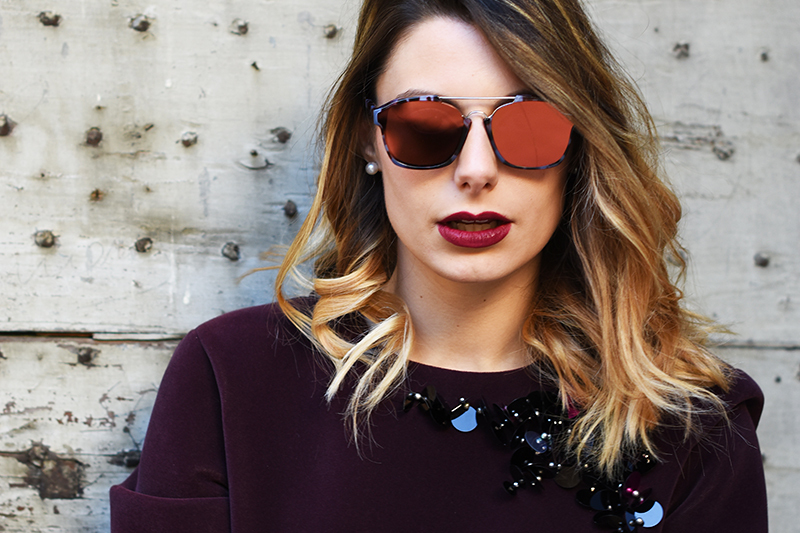 This week I want you to see how the same pair of sunnies can give a completely different effect with a different outfit. Here we are, I’m still at Bianco store and I’m wearing a strapless dress with a dark coat. The ponytail makes the difference too and makes these shades pop. 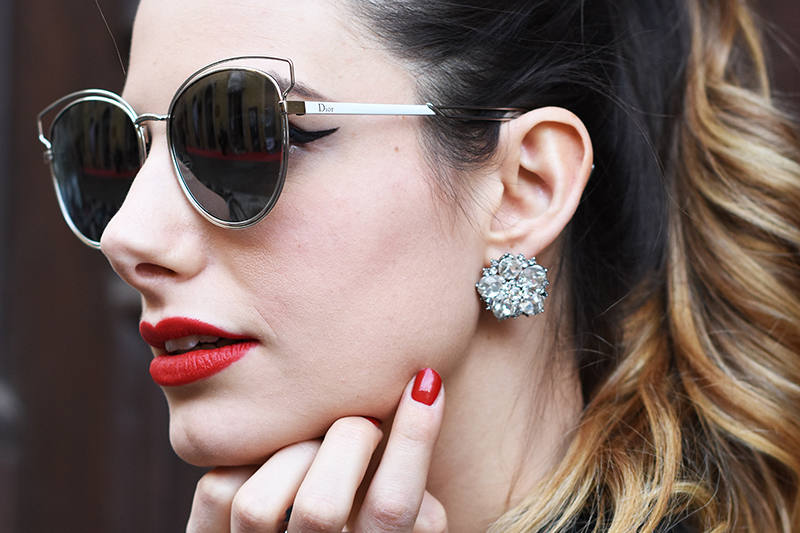 A pinch of red lipstick is a must! So, guys! Enjoy the night! Have fun and rest! See ya next year!